In just a few weeks Leigha & Derek get hitched! 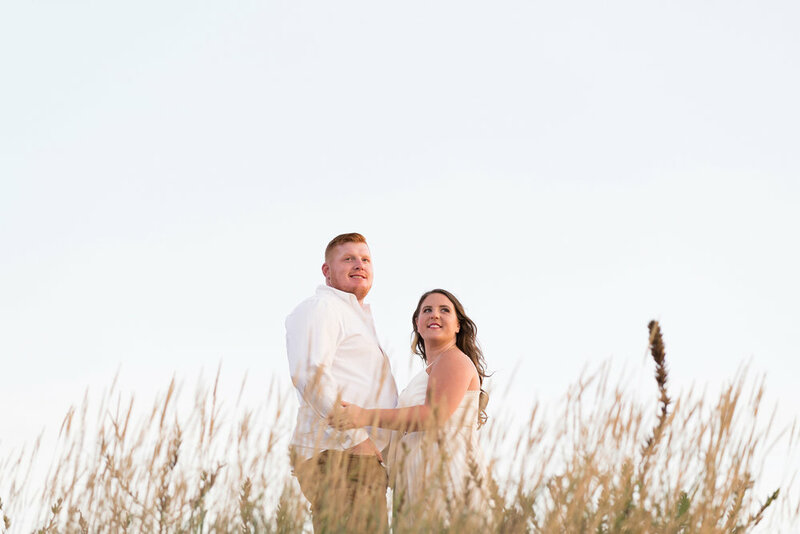 I am excited to shoot this wedding but a little bummed as well because this is the last booked wedding of 2018 for me. What a year it has been! I had so much fun in 2018 and next year will be just as great! 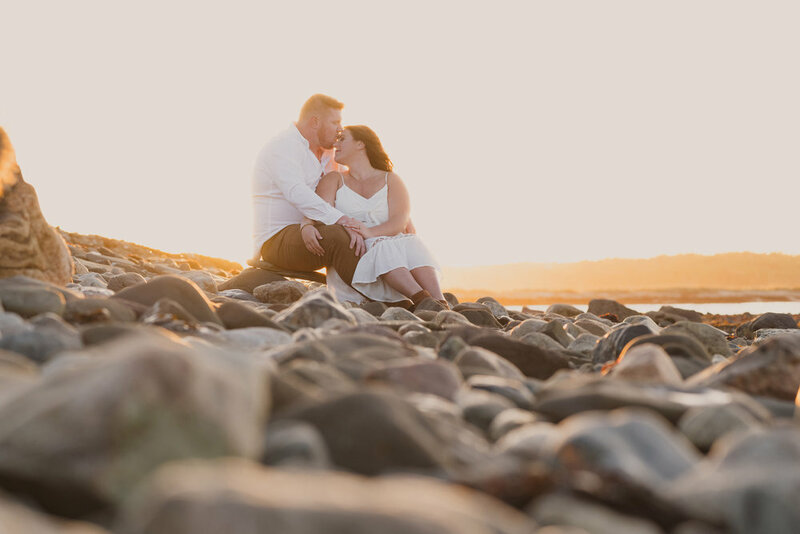 It’s already booked up with so many awesome couples who are all about unique wedding images and having fun! I cannot wait! 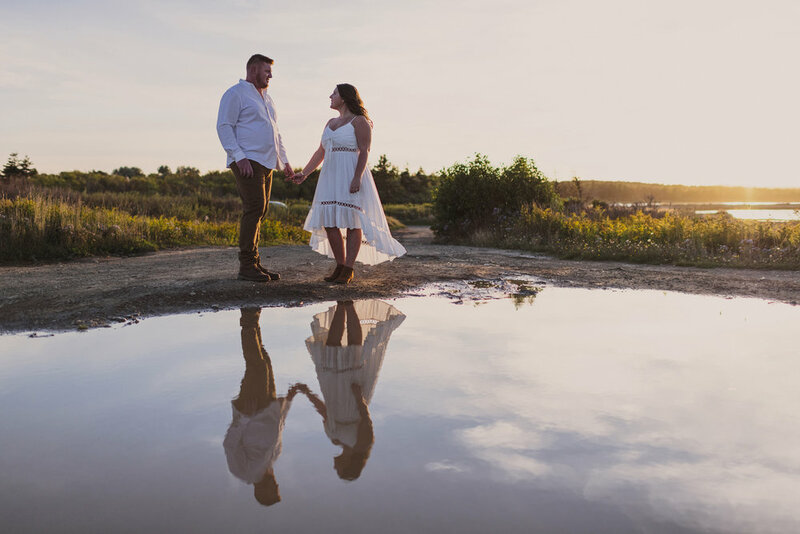 For this engagement session we travelled to Florence Beach. What a spot, you just can’t go wrong with Cape Breton Beaches! 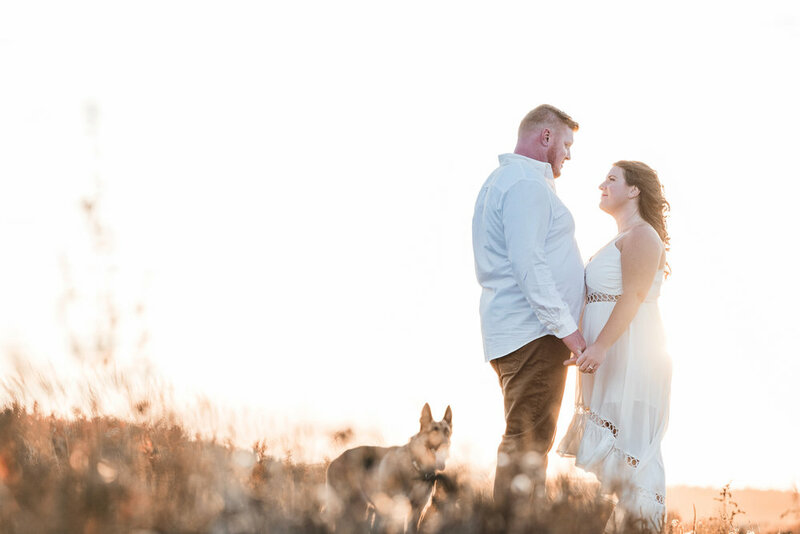 We had an amazing sunset to work with and their dog Arlo came along for the session, he was awesome and will be part of the wedding day as well! We love dogs! If you are holding off on booking for your wedding, get in touch asap. 2019 is nearly fully booked for me. 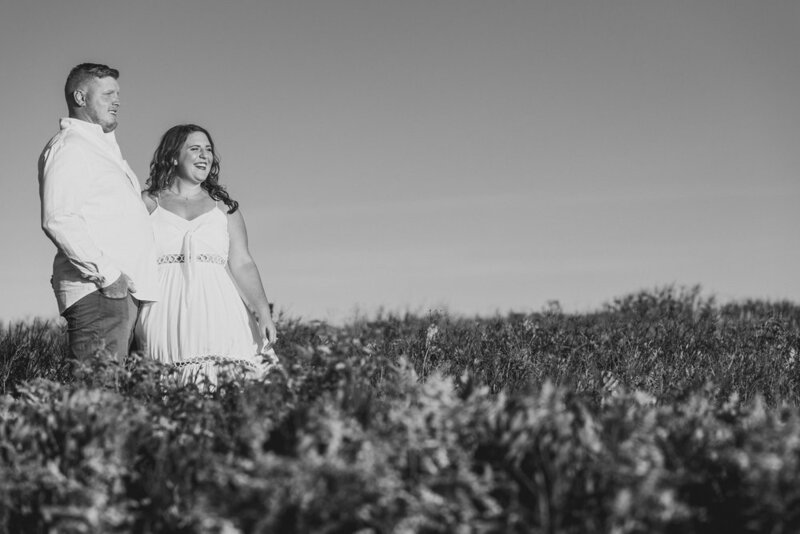 I am taking more weddings than normal these days but there are only so many days available! 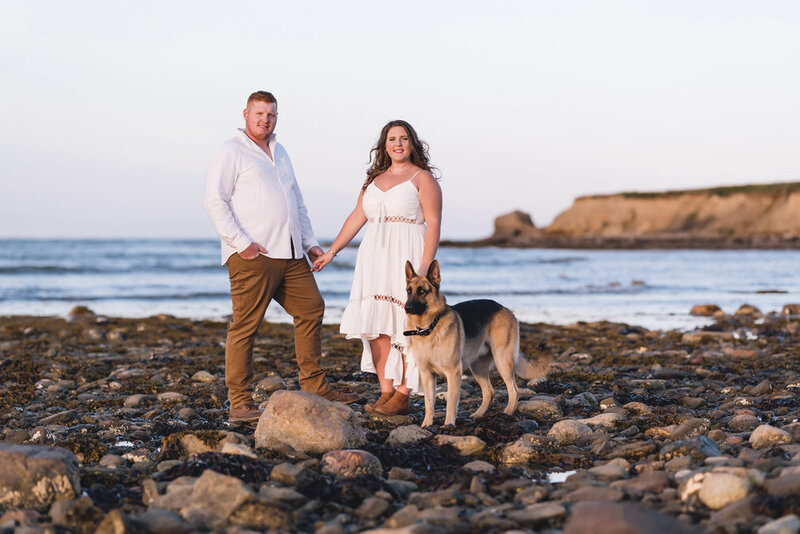 Big thanks to Leigha, Derek and Arlo, this session was great!